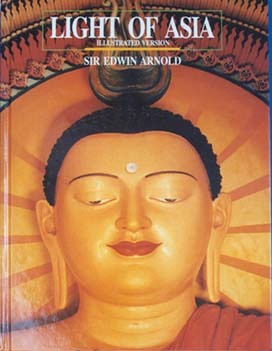 Everybody is keen to learn the essentials of Buddhism, through an easily read but authoritative book. The answer is, of course, late Ven. Narada Maha Thero’s “The Buddha and His Teachings”. Until recently this book was available as a very ordinary publication, that did not appeal to the modern reader. 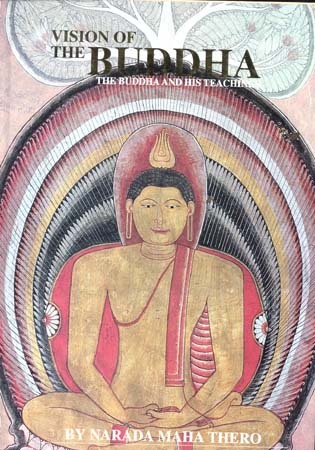 SBMC, has published this work on a very lavish scale under the title “Vision of the Buddha – The Buddha and His Teaching”. This entirely new edition is illustrated with a series of very valuable murals from Buddhist Temples. As a collection of Buddhist mural paintings alone, the work is of immense value. This is a highly dependable work that could be referred to, whenever a question arises about the Life and the Teachings of the Buddha – the Enlightened One. This work is a reliable companion to every Buddhist and to every non-Buddhist with an inquiring mind. 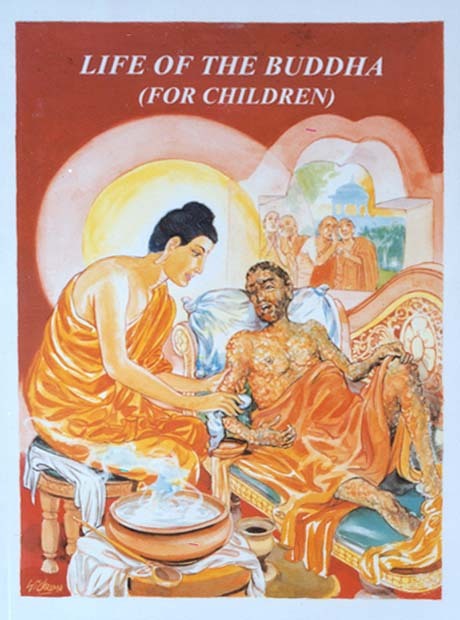 This work helped to promote Buddhist missionary work, world-wide. The mural paintings and photographs of ancient sculptures make this book a veritable collectors' item. 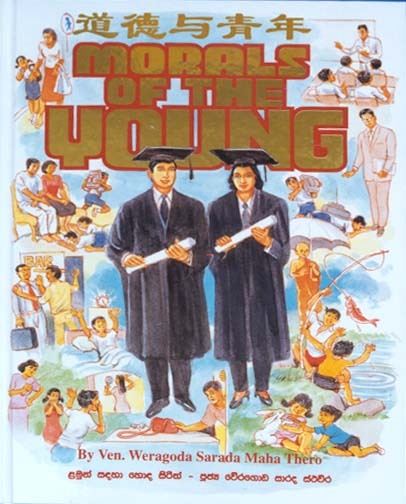 Reflecting today’s concern for the young everywhere, this book has been brought out as a human service. Every family should have a copy of this book. This teaches children how to lead a morally upright life, respecting their parents, teachers and elders. This book would be very much a resident-sage in every home. The section on smoking describes vehemently the disastrous ill-effects of smoking. This is easily readable and is attractively illustrated. There is an exclusive fully illustrated section on cause-and-effect. Moral lessons are taught to the children about the grievous results of bad actions and the wholesome results of virtuous actions. The text is in three languages – Sinhala, Chinese and English. 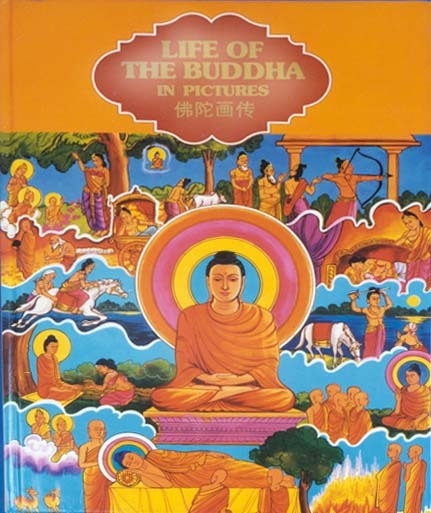 This is an illustrated version of the life of the Buddha, done especially for children. The narration is presented in the picture-story format. 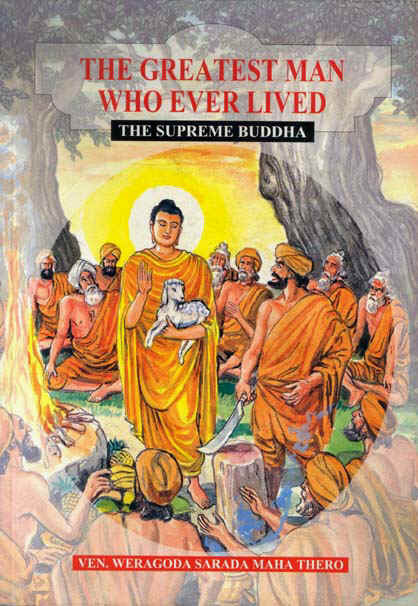 All the important events in the life of the Buddha, from the time of the birth of Prince Siddhatta to the Buddha’s great demise are recorded here. As today’s children take pleasure in picture-stories, the narration is arranged in a series of picture-frames. This appears in four languages- Sinhala, English, Japanese and Chinese. Donation Voluntary to Cover Cost. 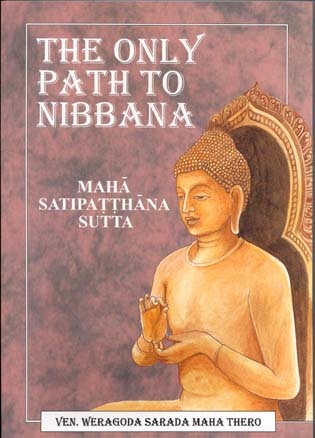 Maha Satipatthana Sutta (The Discourse on Mindfulness) is described as the “Only Path to Nibbana”. It is in this SBMC version that a fully edited, authorized text of the Discourse is found. The text was prepared by a panel of erudite scholars. 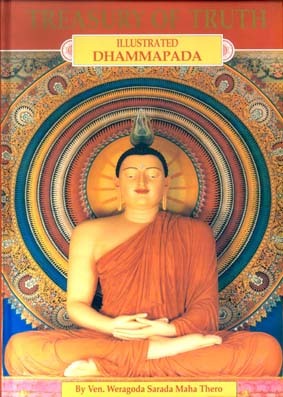 The Discourse consists of four segments: Kayanupassana (Contemplation of Body), Vedananupassana (Contemplation of feeling), Cittanupassana (Contemplation of mind), Dhammanupassana (Contemplation of mind-objects). The text is supported by an impressive series of especially commissioned illustrations in colour. The Pali text is given in Roman characters. An extensive commentary is included. An authoritative English translation helps the user. At the end of the book a glossary translates key Pali words into English. The book is printed in a large format. This work ranks high among the publications of the Singapore Buddhist Meditation Centre. In the hierarchy of Buddhist leaders, Ven. Ananda, is almost next to the Enlightened One. Ven. Ananda has been the unfailing companion of the Buddha, over a long period of his life. Such a spiritual friendship occurs very rarely indeed in the annals of religious history. Ven. 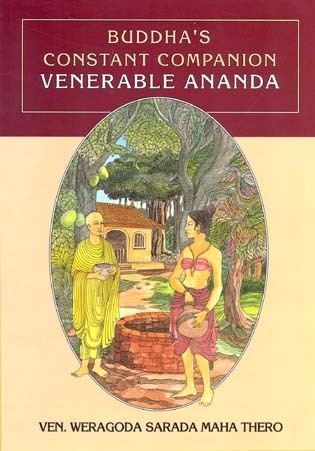 Ananda’s life is extensively recorded in Buddhist scripture. His character is picturesque and is leavened by a humane attitude.This made him an appealing personality for people at a variety of levels. All those variegated facts of Ven. Ananda’s sacred life are vividly recorded in this book. It is profusely illustrated with exquisite art works. The stories narrated in this book are quite absorbing.